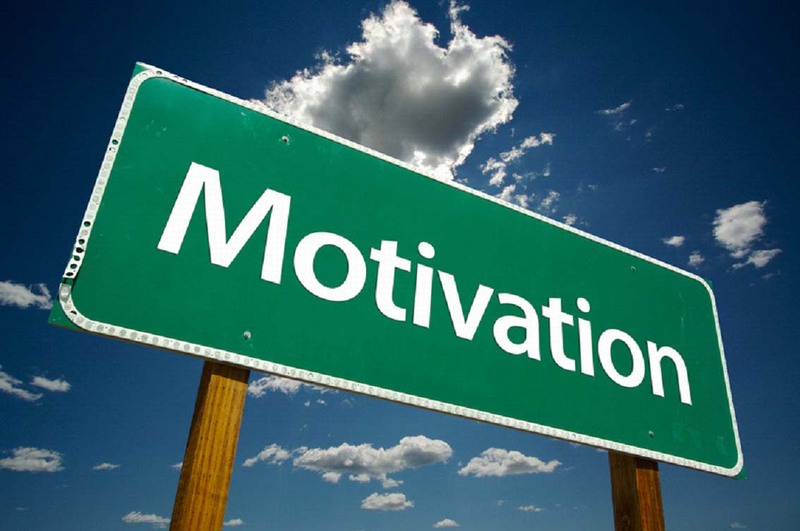 When I decided to write an article on motivation I thought it would be easy to research. Boy, was I wrong. The most common suggestion I found was to exercise. EXERCISE? If you struggle to get out of bed, if you can’t take a shower, when you can’t open the blinds, how the hell are you going to exercise? When I’m in the midst of depression I can’t get motivation from exercise, I need motivation to exercise. Then there was one article which said the way to get motivation was to get motivated. I read the details and none of what they described made any more sense than the bullet point itself. The winner was an article that stated to not allow yourself to get depressed in the first place. Wow! How come I never thought of that? (sigh). That was it. If I found I could not complete an item then my expectations were too high. If you find you can’t get yourself out the door then take it off the list the next day. The goal is to be successful. Add items on only when you can. With time you’ll see your short list getting longer. Don’t beat yourself up because your brain doesn’t function as it should. We’re good at beating the crap out of ourselves so this is not an easy one, but be sure to pause from time to time and tell yourself you’re okay. You’re worth it. Another toughie. I think no matter who we are, its human nature not to seek help. When things were at their worst I couldn’t even ride a bus without getting confused and even lost at times. I had no choice but to ask for help. Over time I’ve learned to be grateful for the generosity of others. Schedule your time and stick with it. Wash light colors on Monday, dust the living room on Tuesday, vacuum the bedroom on Wednesday. Structure is important. Just like the short list, be realistic. Have you reached the point that you are able to get out and walk? Or shop? Make yourself accountable by committing to do it with a friend. I love to walk along the beach for exercise. I have one friend who can join me on Thursdays and another one on Fridays. Committing to join them makes me accountable and I always end up enjoying myself. If I’m in a pit of despair and can’t do it, they are my friends and will understand. There’s always next week. As I said before – be realistic. Search for a support group, such as a Depression and Bipolar Support Alliance (DBSA) meeting, or a National Alliance on Mental Illness (NAMI) meeting. Both websites offer the ability to search for your closest meetings. There’s comfort in talking with people who understand what you’re going through and they need you there as much as you need them. I told you I learned these steps from others. Where do you think that happened? Keep the tube off. If you start watching in the morning, you may find it’s time for dinner in the blink of an eye. If you must watch, avoid shows like Jerry Springer or Judge Judy. The last thing you need is that kind of negativity in your life. If I feel good when I wake up in the morning, and have nothing on my schedule, I get out of the house ASAP. If I don’t I quickly find myself isolating and that good ‘ol depression may creep back in. Yes, I have my shutdown day occasionally, but the other days I don’t stay home. Almost all my blog posts are written while I’m at Starbucks. I buy a latte in the morning and then I get 50 cent refills of regular coffee the rest of the day. The employees know me well. Motivation, as you can see, requires some effort on your part. There’s no way around that. On the worst days just trying to write a short list or a cleaning schedule will take more effort than you think you can muster. This is where being easy on yourself comes into play. Whatever you are able to do, accept and appreciate even the smallest baby steps. Having the modivation and energy to read this blog is a big accomplishment. Loved this post and so agree with…all of it! I need to get back into doing my short list, as it was so helpful before. Great job with this topic, Bradley!